A divider and sheet protector all in one. Allows you to use over 100 popular software programs. Clear labels virtually disappear when applied to the View Divider tab. Versatile as a divider and sheet protector all in one! Perfect to use when your documents need to be placed in sheet protectors and divided with the tabs staying visible. 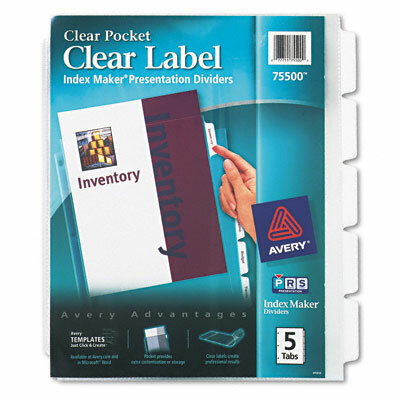 Allows you to use over 100 popular software programs to Click & Create™ the tab labels with Avery® Templates. For better visibility the clear labels virtually disappear when applied to the View Divider tab. Three-hole punched, allowing you to store unpunched inserts.